New book, 80 pages, SS12055. Named for Confederate General J.E.B. 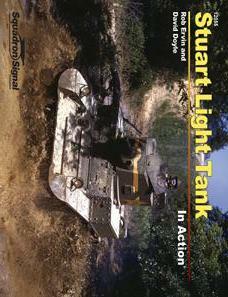 Stuart of the American Civil War, the Stuart tank filled the need for a light tank. The M3 and M5 series of tanks were the ultimate production variants of a line of vehicles whose development began in the mid-1930s. Then in 1941 the US Ordnance Department accepted a proposal by Cadillac to install double Cadillac V8 engines in the tank and, after remodeling the hull to accommodate the new motors, a new tank, the M5 (to avoid confusion with the M4 Sherman) was born. Reconnaissance units in the front lines of U.S. forces were always accompanied by the agile M5s. With a top speed of 45 miles per hour, armor protection, and firepower, the M5A1 provided powerful support for mobile reconnaissance teams. Though not a match for heavy German armor, the Stuart was more than adequate for dealing with infantry and saw action with U.S. Forces in the Pacific, where the Stuart could confront Japan’s armor on better terms. In addition to serving the U.S. military, M5s were supplied to Britain and France and after World War II saw action of battle fronts in as far-flung places as China, India, and Indochina. 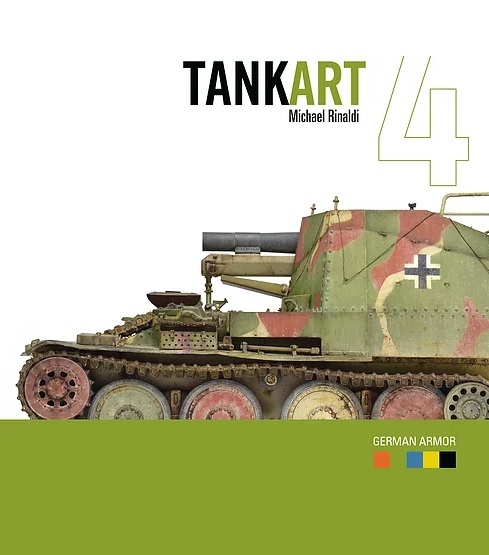 Illustrated with over 200 photographs, plus color profiles and detailed line drawings. This item was added to our catalog on Sunday 01 February, 2015.